For truly stylish individuals, anything less than the best timepieces will not do. If you are purchasing your first luxury wristwatch, then you’ll be pleased to know that 2013 is set to be a banner year for the timepiece industry. Not all watches are created with the same level of craftsmanship, and their price tags can vary greatly as well, so this article will take time to review 3 high-end timepieces that are truly worthy of their eye-popping price tags. Keep in mind that what you get will be inherently dependent on what you are willing to pay for, as a buyer or a collector. This first example of luxurious watchmaking is not only a respectable watch in its own right, but is clearly what most collectors would consider the most “classic” of our three models. 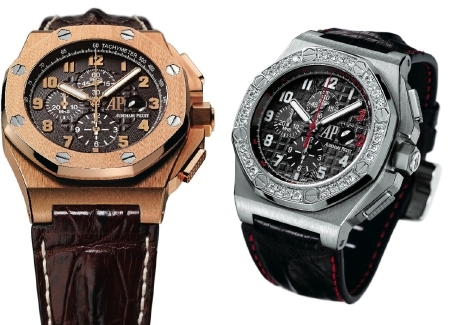 Audemars Piguet is one of the top name luxury watch brands today, and the Audemars Piguet Royal Oak makes for a very wise investment. This watch is a work of art using mechanical chronograph movement, internally engraved gold rotors, luxurious detailing done by personally involved in-house artistic designers, and Audemars Piguet’s very own experimental techniques to create forged carbon. This original method produces a lighter and stronger carbon compound, which gives every Audemars Piguet Royal Oak Offshore timepiece its own personalized look. Strictly speaking, buyers should always remember to treat their purchase as the valuable accessory that it is. Maintain it properly, and it will probably last you a lifetime. This stylish timepiece is the most expensive of the trio, the suggested asking price being approximately $50,000.00 to own. The Rolex 18k Black Newman Dial Daytona is made for wearers of either gender and contains nearly all natural materials; most of the parts are either gold or crystal sapphire glass work. Rolex also outdoes their competition in their able business methodology. All timepieces from the company are recognizable by their original packaging, brand name clockwork, authenticity papers, and – of course – how nearly any true Rolex keeps time so accurately. Any true Rolex timepiece is easily recognized by the pure fluidity of its functions, combining synchronized chronograph movement, a brilliant self-winding mechanism, and all the style that is guaranteed from a top brand name in the luxury watch industry. This second example of a truly fine luxury timepiece sells for approximately $27,000.00 new. The global availability of this timepiece has been something of an issue, up until recent times. For the Limited Edition Bremont Victory Watch and all the similar product lines from Bremont have been somewhat rare, but not because they lack anything in their craftsmanship. Their rarity stems from the fact that Bremont is one of the few makers of quality timepieces in today’s luxury watch industry that is based out of the British Isles, specifically England; most traditional makers of luxury watches have had their roots, financing, infrastructure, and foundations in Switzerland. 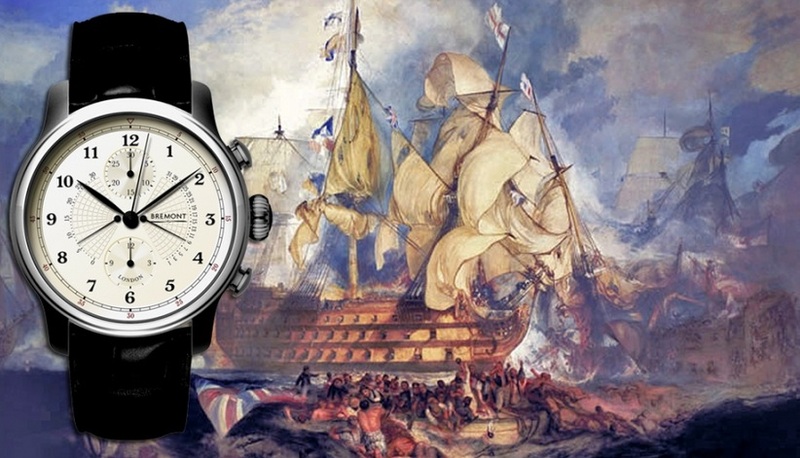 This unique timepiece was made to commemorate the oldest commissioned warship on Earth today, the HMS Victory. Each of the Limited Edition Bremont timepieces has parts that include original copper, timber, and oak wood inlay from the actual HMS Victory ship herself. The watch itself is a masterpiece of timekeeping as well. The customized features include a stainless steel water resistant case, a real crocodile leather strap, and only the best mechnical design choices. For example, the automatic chronograph allows for over 45 hours of reserve power, plus incabloc shock protection, the ability to track hours, minutes, seconds, and retrograded dating with the sweeping chronograph. There are even counters for 30 minute or 12 hour time tracking. 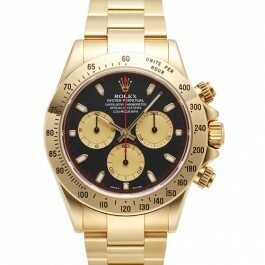 This 3rd and final wristwatch has a suggested retail price of $19,500.00. So ask yourself what time really means, not just to you, but to your life; if being on time and keeping pace with the world is important enough, but you’d like to do so with style and grace as well, then you may want to consider acquiring one of these wonderful luxury wristwatches.